Has July flown by quickly for you? Because it surely has for me! Hasn’t the Winning Over Worry topical Bible reading challenge been incredible? I have loved it and am looking forward to the monthly topical reading plan for August. I wanted to be sure to post it today because tomorrow will be our last summary for the Win Over Worry plan and Saturday, August 1, we’ll begin this new plan. You ready? This month’s topic is…. How about a recent family crisis? He has each and every member in the palm of his hand. How can we fill our minds with the faith to remember that God is sovereign over all and his power extends from the vast universe to the tiniest molecule? By saturating our hearts and minds with his word! 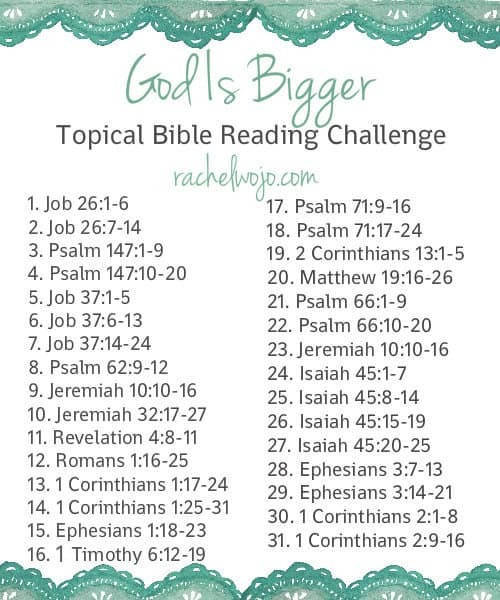 What is the Bible reading challenge? 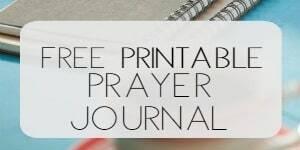 The Bible reading challenge is a monthly challenge I offer to help us faithfully read God’s word daily. 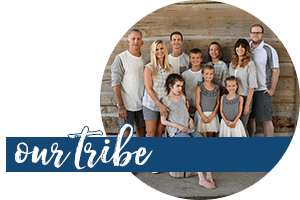 Each month we focus on a certain topic and each Friday, we return here to the blog to share what we are learning during the week. How do I get the schedule? You can click on the graphic and a pdf will open with two copies of the God Is Bigger topical Bible reading plan. Print and share with a friend! Or if you’re a digital girl, screenshot the graphic to your smartphone for easy daily access. God is Bigger than anything I can think of to handle what I need. This is going to be a great month!! God is bigger than the death of a dear loved one. If the good die and have been Christian followers, we know death has already been defeated! Do not think as much on your grief or loss, but rather on their gain. They are now in the most beautiful place imaginable. They are with Jesus! God is bigger because he gave you this peace and His son. Do we sign up for reading challenge? Count me in. Thank You for your wonderful page. Okay, what’s terrible is that I watch too much Veggie Tales, and the first thing that popped into my head was, “God is bigger than the boogey man.” lol. But seriously though…God is bigger than our finances. That’s what I need to remember. God is bigger than the paralyzing self doubt I deal with daily. I am so excited for August! I have thoroughly enjoyed July and can’t wait to get in to this topic. Your monthly verse reading is such a great way for me to start the day. Thank you! July was good, August will be great! God is bigger than all the recent deaths, illness, and fears that surround me. God is greater than any illness! 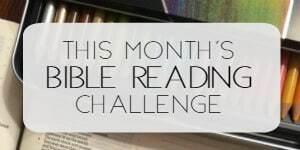 My mother was diagnosed with an aggressive form of brain cancer yesterday and after the reading challenge in July, which proved very well timed because of all the worry we had, this reading challenge will help get through this month and hopefully encourage my mum at the same time. God is bigger than false Gods! Our God is the one and only true God! This will be my first as I miss out on July but will commit myself yo next months reading plan. God is bigger than all my needs and wants. God is bigger than my illness, and all of the anxiety, depression, and doubts surrounding it. God is bigger than my finiane situation I’m in right now ! As always, I’m READY!! Love this month’s topic! God bless you, sis! God is bigger than all my worries. His grace is sufficient enough. 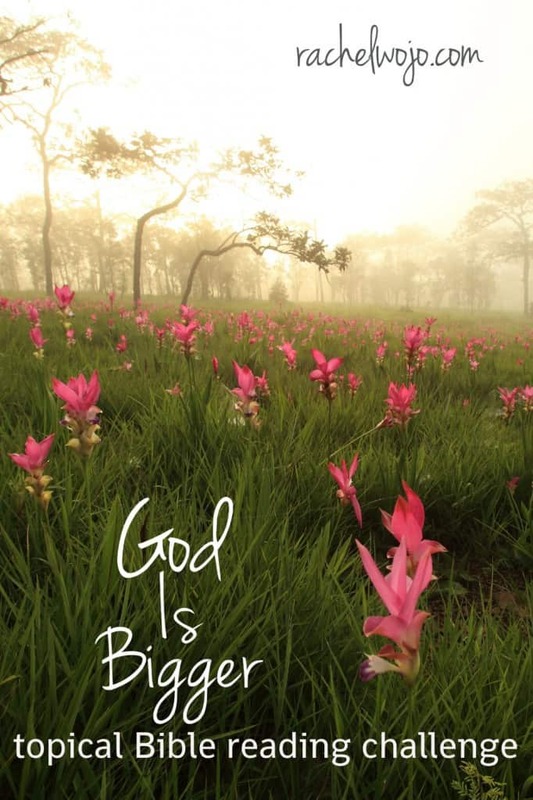 God is Bigger than our finances, relocation, and worries!!!! Can’t wait to dive right in the truth of the Lord! First of all, I am so very thankful that I found the Scripture readings for “Winning over Worry.” I was going through the 3 summaries; then I found your “Topical Reading List” and put 2 + 2 together that the summaries WERE the actual daily readings!!!! Even though I started late, I found such encouragement from the scriptures for the month of July. On Friday when I read your post, I ask my 4 1/2 yr. old grandson, Will, “What do you think God is bigger than?” His answer: a house; I loved that answer. Yes, I agree, He is bigger than we can imagine, and I learned that He is bigger than my distress, my loneliness, my worries, my pity-parties, and on and on….. He is the Greatest!!!! I do so look forward to August and what God will share with me during the month. God is bigger than all those who are deemed not good enough by human judgment. God is bigger than marriage problems and self doubt. I am really enjoying reading challenges. I discovered it on a pinterest link in May and I am so glad I did. Thank God for you and this site! God is bigger than finances, job challenges, self doubt, and illness. Lots of worries but none are too much for our Father.